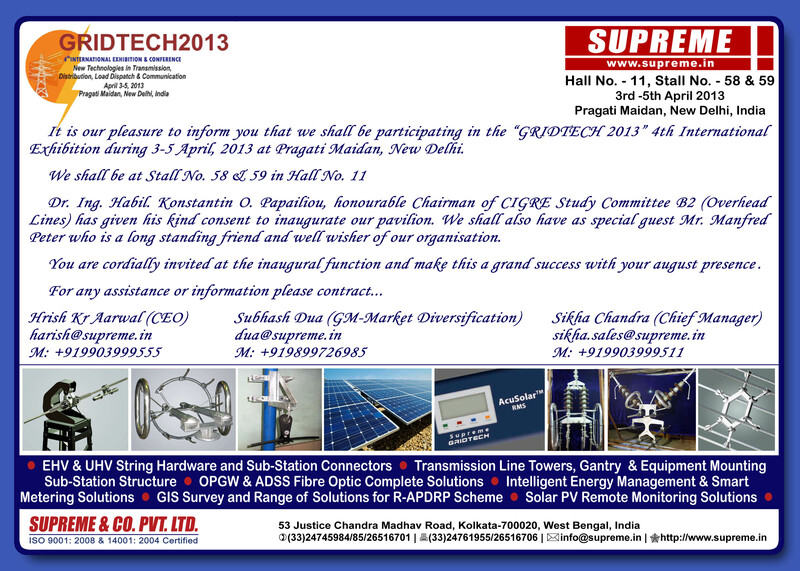 Mr. Harish Agarwal is going to present a presentation on “Design & Development of 1200kV Transmission Line and Sub-Station Insulator Hardware Fittings, Clamps & Connectors” at International Colloquium on UHV in Association with CIGRE, New Delhi on 3rd to 4th April, 2013. 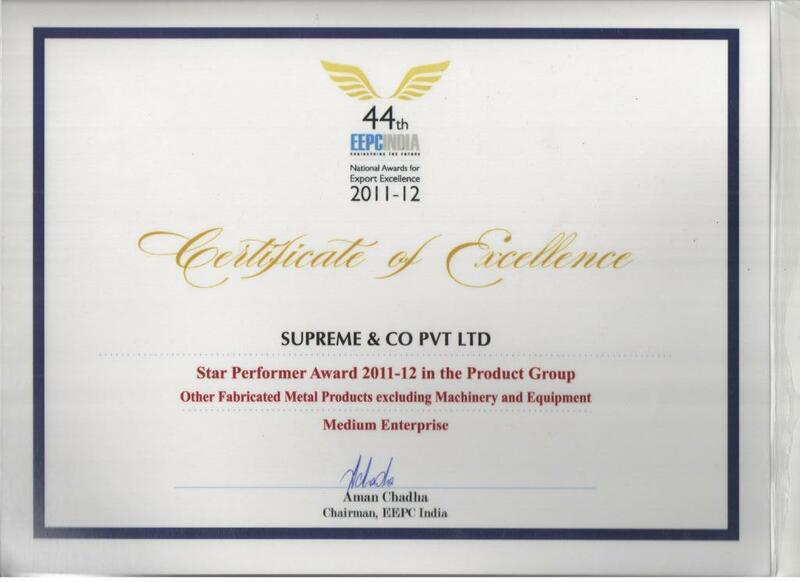 SUPREME was awarded on Friday 15th March in Mumbai, EEPC All India Award as Star Performer for the Year 2011-12. 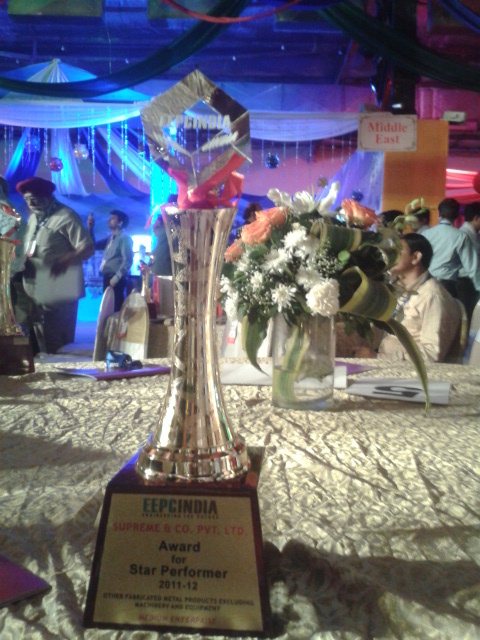 Supreme earlier in the year received to Exporter Award for Eastern Region. You are currently browsing the The Complete Power Package blog archives for March, 2013.